Visitors travelled from all over Africa with the top 10 countries from outside of South Africa being: Zimbabwe, Botswana, Mozambique, Zambia, Swaziland, Lesotho, Angola, Malawi, Ghana and the Democratic Republic of Congo. Representation from other countries also included: Namibia, Nigeria, Tanzania, Kenya, Cameroon, Ethiopia, Madagascar, Ivory Coast, Mauritius and Uganda. As well as see the latest machinery, products and software solutions, visitors were able to take part in a range of educational features; the textile experience, a hands-on workshop where printers could learn different techniques by Charlie Taublieb, T-shirt and bag printing workshops, CorelDRAW workshops, the Speed Wrap Challenge and Business Opportunities in print and signage, which were held on various exhibitors’ stands. ‘We sold all the machines on our stand to visitors from around South Africa and also Malawi, Zambia and Namibia. The show attracted serious buyers and quality customers,’ said Coenraad Kuipers, Titan-Jet Africa. ‘We obtained good quality leads and there was a constant flow of visitors throughout the day. We received very positive feedback from existing clients,’ said Larry Smith, SA Argus. ‘The show was good, we had a good flow of traffic to our stand and great interest in our full range of products,’ said Sean Conrad, Wilec. ‘The show was attended by a higher percentage of serious buyers this year than in prior years. We were happy with the number of leads that we generated for our newly launched Anapurna H1650i LED printer,’ said Dave Reynolds, Agfa Graphics. 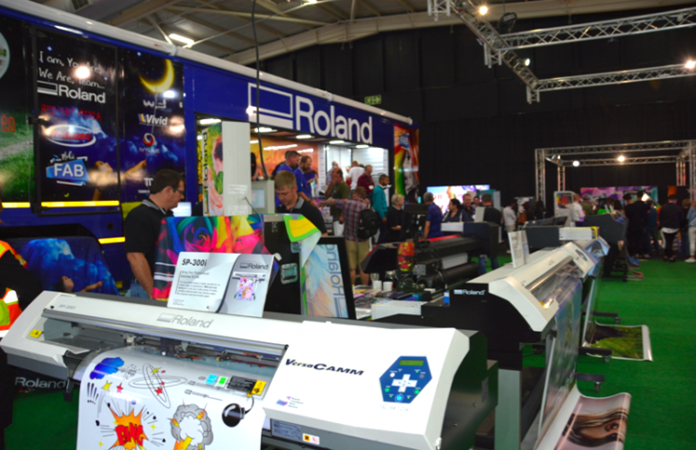 ‘We had a great response from show visitors to the specials offered by Mutoh Japan,’ said Craig Carstens, MIPS Technologies. ‘It was a very successful show, with lots of interest, particularly from Ghana, Zambia and Congo,’ said Dean Dupen, Rep-Tech (ScreenTec partner). The post show report will soon be available for more information.